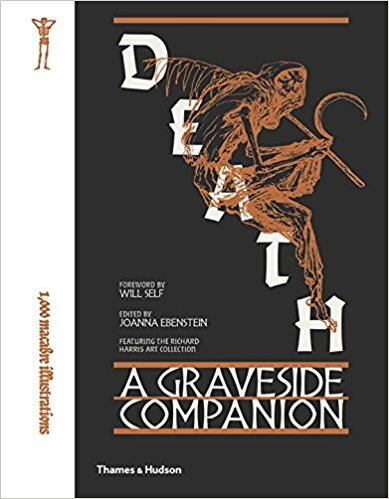 Death: A Graveside Companion by Joanna Ebenstein - The ultimate death compendium, featuring the world’s most extraordinary artistic objects concerned with mortality, together with text by expert contributors. A volume of unprecedented breadth and sinister beauty, Death: A Graveside Companion examines a staggering range of cultural attitudes toward death. 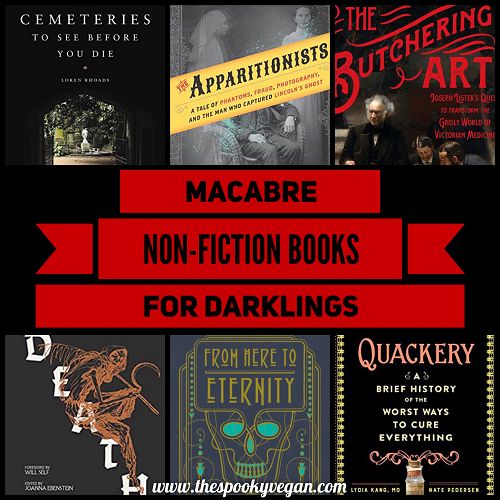 The book is organized into themed chapters: The Art of Dying, Examining the Dead, Memorializing the Dead, The Personification of Death, Symbolizing Death, Death as Amusement, and The Dead After Life. Each chapter begins with thought-provoking articles by curators, academics, and journalists followed by gallery spreads presenting a breathtaking variety of death-related imagery and artifacts. From skulls to the dance of death, statuettes to ex libris, memento mori to memorabilia, the majority of the images are of artifacts in the astonishing collection of Richard Harris and range from 2000 BCE to the present day, running the gamut of both high and popular culture. The Butchering Art: Joseph Lister's Quest to Transform the Grisly World of Victorian Medicine by Lindsey Fitzharris - In The Butchering Art, the historian Lindsey Fitzharris reveals the shocking world of nineteenth-century surgery on the eve of profound transformation. She conjures up early operating theaters―no place for the squeamish―and surgeons, working before anesthesia, who were lauded for their speed and brute strength. These medical pioneers knew that the aftermath of surgery was often more dangerous than their patients’ afflictions, and they were baffled by the persistent infections that kept mortality rates stubbornly high. 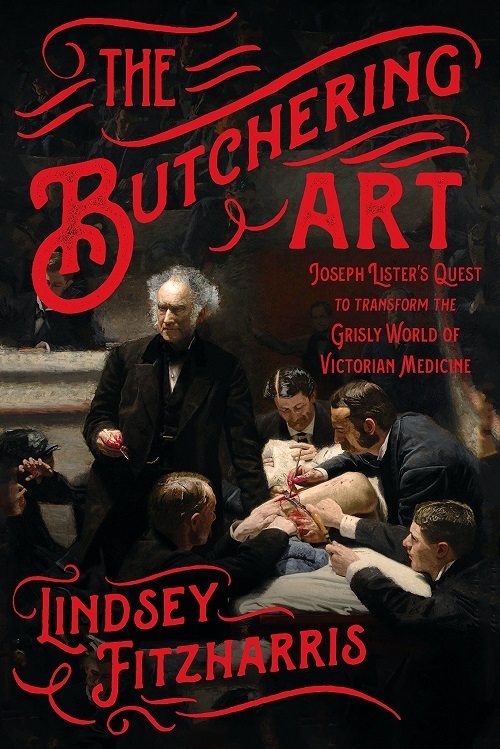 At a time when surgery couldn’t have been more hazardous, an unlikely figure stepped forward: a young, melancholy Quaker surgeon named Joseph Lister, who would solve the deadly riddle and change the course of history. 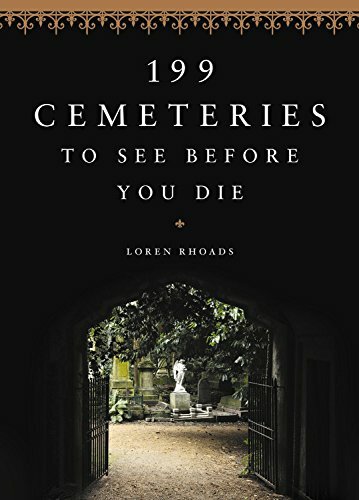 199 Cemeteries to See Before You Die by Loren Rhoads - A hauntingly beautiful travel guide to the world's most visited cemeteries, told through spectacular photography and their unique histories and residents. More than 3.5 million tourists flock to Paris's Père Lachaise cemetery each year. They are lured there, and to many cemeteries around the world, by a combination of natural beauty, ornate tombstones and crypts, notable residents, vivid history, and even wildlife. Many also visit Mount Koya cemetery in Japan, where 10,000 lanterns illuminate the forest setting, or graveside in Oaxaca, Mexico to witness Day of the Dead fiestas. Savannah's Bonaventure Cemetery has gorgeous night tours of the Southern Gothic tombstones under moss-covered trees that is one of the most popular draws of the city. 199 Cemeteries to See Before You Die features these unforgettable cemeteries, along with 196 more, seen in more than 300 photographs. In this bucket list of travel musts, author Loren Rhoads, who hosts the popular Cemetery Travels blog, details the history and features that make each destination unique. Throughout will be profiles of famous people buried there, striking memorials by noted artists, and unusual elements, such as the hand carved wood grave markers in the Merry Cemetery in Romania. 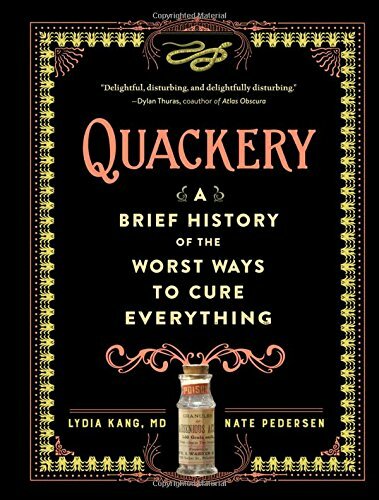 Quackery: A Brief History of the Worst Ways to Cure Everything by Lydia Kang - What won’t we try in our quest for perfect health, beauty, and the fountain of youth? Well, just imagine a time when doctors prescribed morphine for crying infants. When liquefied gold was touted as immortality in a glass. And when strychnine—yes, that strychnine, the one used in rat poison—was dosed like Viagra. Looking back with fascination, horror, and not a little dash of dark, knowing humor, Quackery recounts the lively, at times unbelievable, history of medical misfires and malpractices. Ranging from the merely weird to the outright dangerous, here are dozens of outlandish, morbidly hilarious “treatments”—conceived by doctors and scientists, by spiritualists and snake oil salesmen (yes, they literally tried to sell snake oil)—that were predicated on a range of cluelessness, trial and error, and straight-up scams. With vintage illustrations, photographs, and advertisements throughout, Quackery seamlessly combines macabre humor with science and storytelling to reveal an important and disturbing side of the ever-evolving field of medicine. 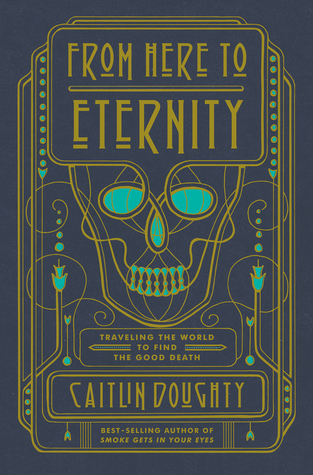 From Here to Eternity: Traveling the World to Find the Good Death by Caitlin Doughty - Fascinated by our pervasive fear of dead bodies, mortician Caitlin Doughty set out to discover how other cultures care for the dead. From Here to Eternity is an immersive global journey that introduces compelling, powerful rituals almost entirely unknown in America. With boundless curiosity and gallows humor, Doughty vividly describes decomposed bodies and investigates the world’s funerary history. She introduces deathcare innovators researching body composting and green burial, and examines how varied traditions, from Mexico’s Días de los Muertos to Zoroastrian sky burial help us see our own death customs in a new light. Exquisitely illustrated by artist Landis Blair, From Here to Eternity is an adventure into the morbid unknown, a story about the many fascinating ways people everywhere have confronted the very human challenge of mortality. The Apparitionists: A Tale of Phantoms, Fraud, Photography, and the Man Who Captured Lincoln's Ghost by Peter Manseau - In the early days of photography, in the death-strewn wake of the Civil War, one man seized America’s imagination. A "spirit photographer," William Mumler took portrait photographs that featured the ghostly presence of a lost loved one alongside the living subject. Mumler was a sensation: The affluent and influential came calling, including Mary Todd Lincoln, who arrived at his studio in disguise amidst rumors of séances in the White House. 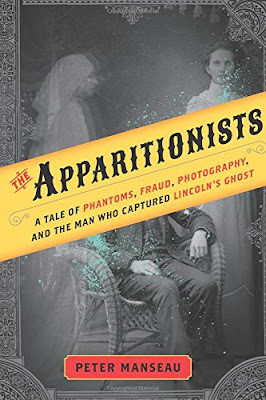 Peter Manseau brilliantly captures a nation wracked with grief and hungry for proof of the existence of ghosts and for contact with their dead husbands and sons. It took a circus-like trial of Mumler on fraud charges, starring P. T. Barnum for the prosecution, to expose a fault line of doubt and manipulation. And even then, the judge sided with the defense—nobody ever solved the mystery of his spirit photography. This forgotten puzzle offers a vivid snapshot of America at a crossroads in its history, a nation in thrall to new technology while clinging desperately to belief. Understanding Cemetery Symbols: A Field Guide for Historic Graveyards by Tui Snider - Graveyards don’t exist merely to shelter the dead. They also nurture the living. In fact, America's garden cemeteries were our nation's first public parks. People used to visit cemeteries not only to mourn the dead, but to have a pleasant day in nature with their family. 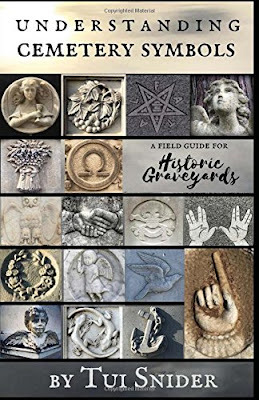 Understanding Cemetery Symbols by Tui Snider helps history buffs, genealogists, ghost hunters and other curiosity seekers decode the forgotten meanings of the symbols our ancestors placed on their headstones. By understanding the meaning behind the architecture, acronyms, and symbols found in America's burial grounds, readers will gain a deeper appreciation for these "messages from the dead." Have you checked any of these out? If so, which ones and what did you think? Have you heard of the podcast Sawbones? It was the first thing to come to my mind when I saw that Quackery book. It is all about the stupid stuff we did in history, but they go blow by blow for different diseases or cures. They recently did the history of activated charcoal which was pretty interesting. Ooooh that podcast sounds right up my alley, thanks so much for the recommendation! Thanks to you my to-read-list got even longer^^ Caitlin Doughty's book is on my wishlist too this year.